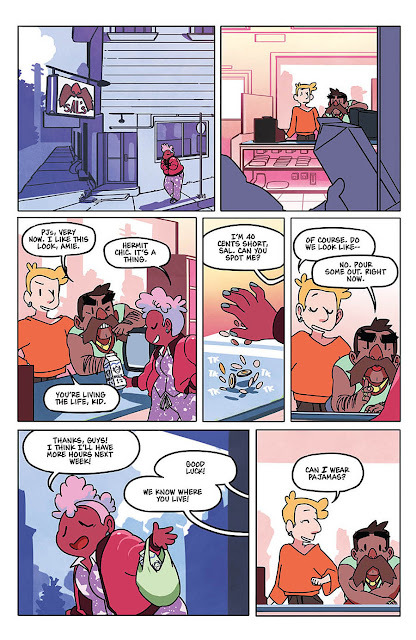 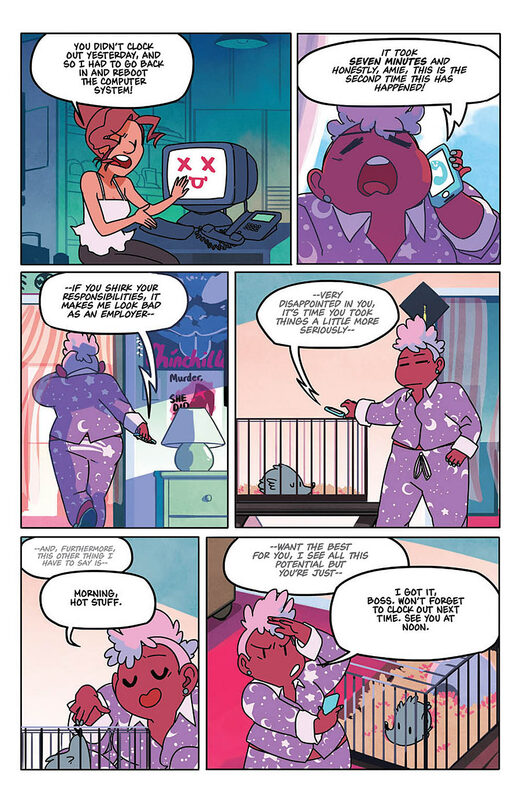 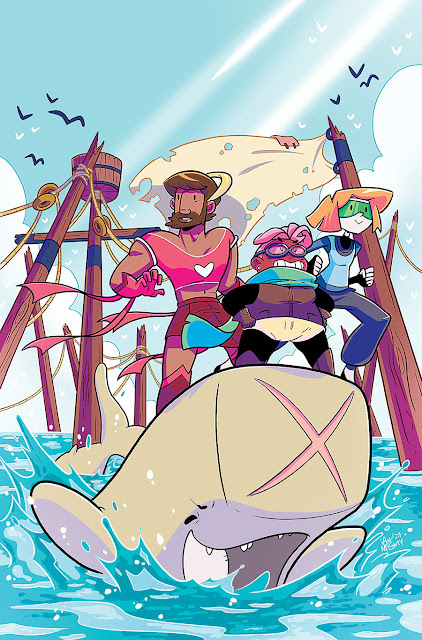 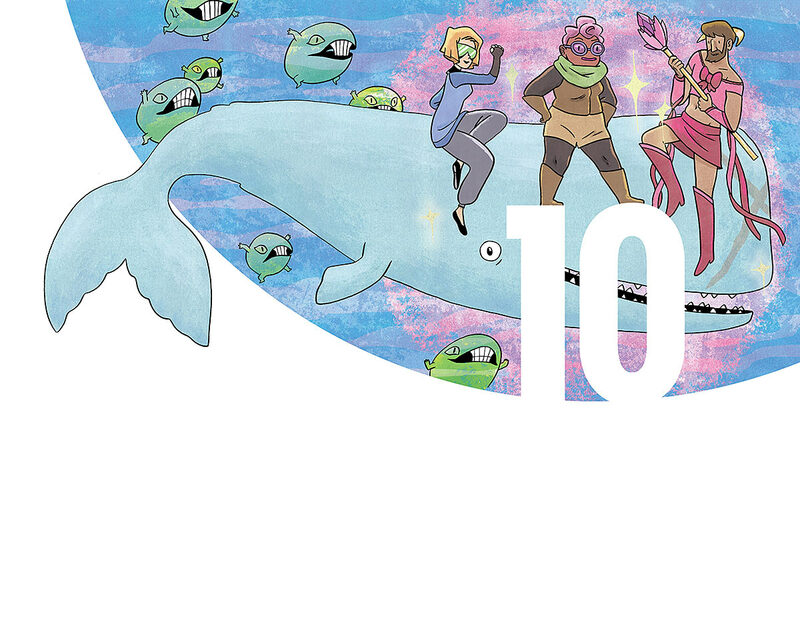 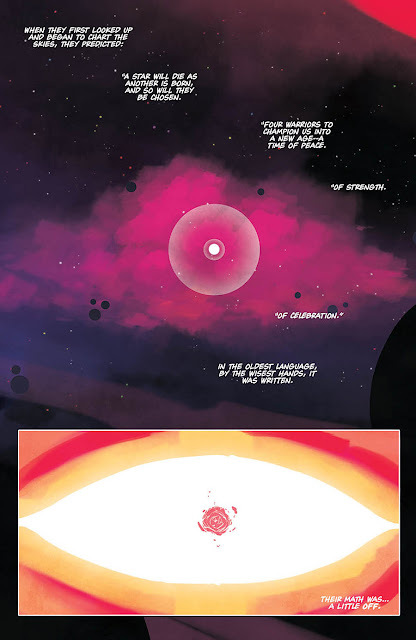 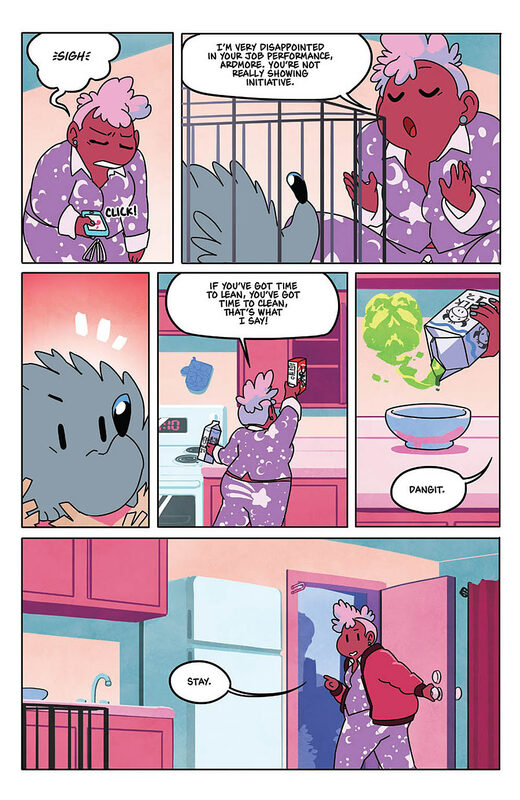 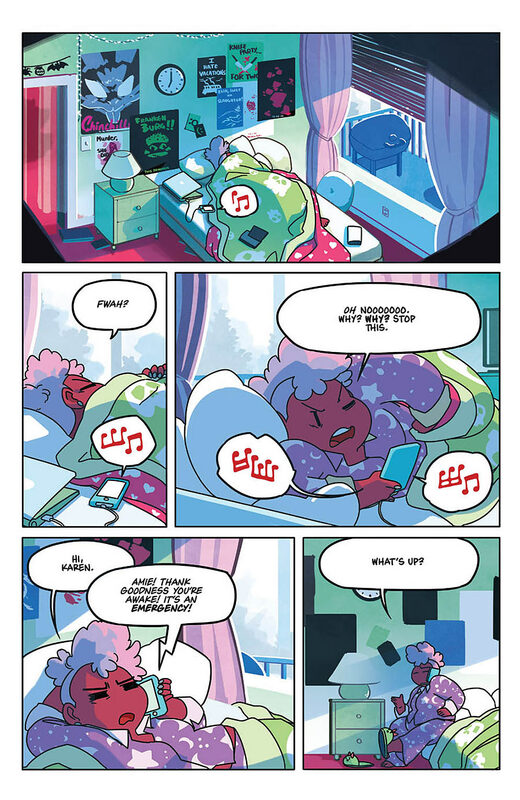 What’s To Love: New York Times bestselling author Kate Leth (Bravest Warriors, Adventure Time: Seeing Red) and artist Matt Cummings (Adventure Time) create a new, original series that takes the magical girl story where it’s never, ever been before. 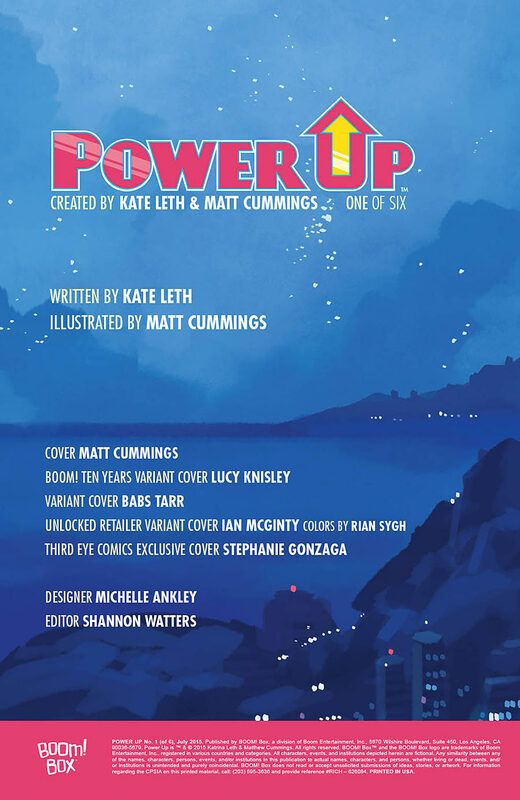 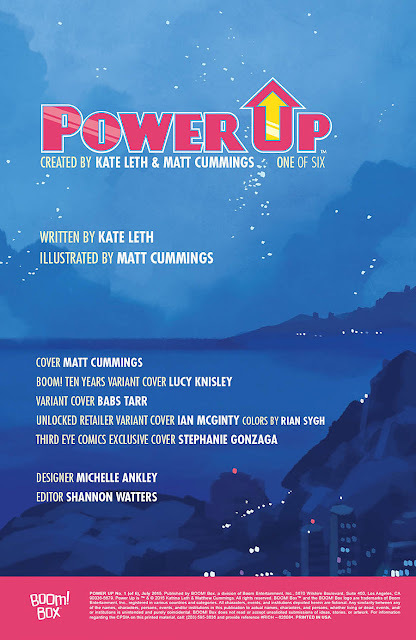 Combining a deep love of Sailor Moon with the tongue-in-cheek humor of Scott Pilgrim, Power Up is the story of the most unlikely people (and goldfish) taking on the roles of Magical Girl, whether they want it or not. What It Is: It has been foretold that four noble warriors of incredible strength would be gifted with cosmic abilities at a moment of planetary alignment...which, yeah, something definitely went wrong here. 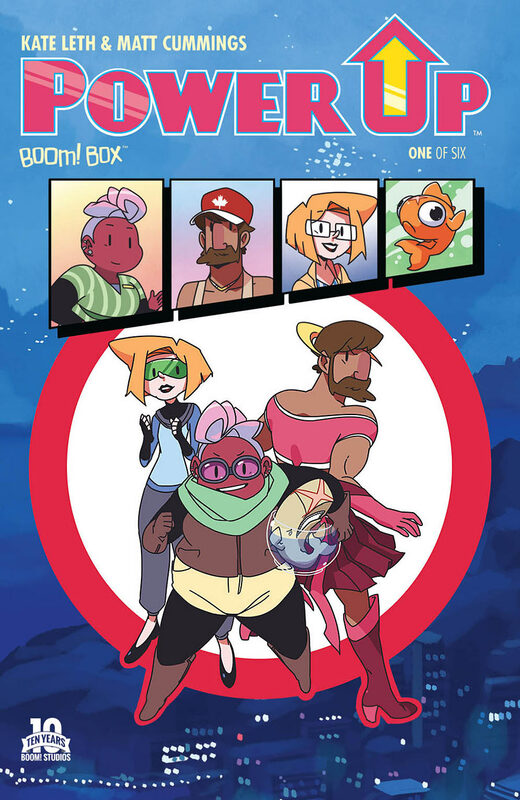 Amie is a disaffected twentysomething with a lot of attitude, Kevin is a washed-up athlete way past his prime, Sandy’s a mother of two teenagers, and Silas...is a goldfish. 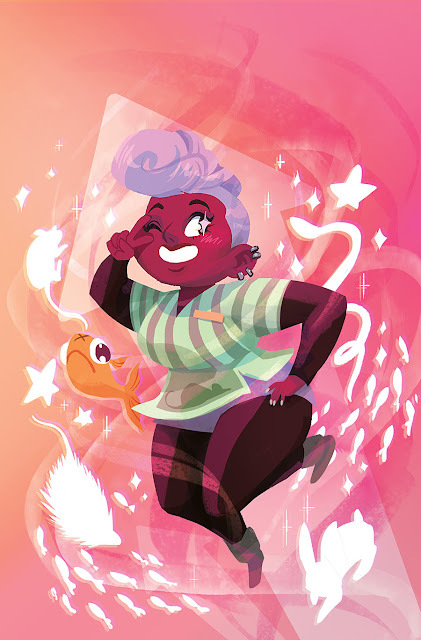 Just a normal goldfish. Are we sure we read that prophecy right?